Solid shell Nut and Bridge blanks are processed from selected shells. Available in standard size and thickness or custom made to customer specification. 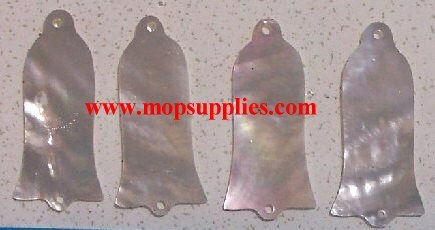 Truss Rod covers are made to customer specification. 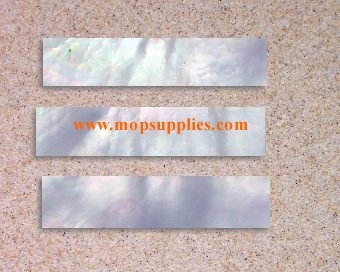 Materials available include Laminated shell as well as solid shell - selection of these will depend on the available size of solid shell blanks. Fretboard markers are made to specification and include various standard shapes i.e. block, humped block, crown , split block markers, as well as intricate markers i.e. bird, diamond & others made to customer designs. Please see Pre-Cut Inlays page for some examples. 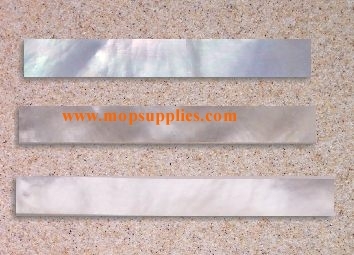 Copyright © 2003-2016 Australian Mother of Pearl Co. Pty. Ltd. All right reserved.